INCLINE VILLAGE, Nev. — New scholarships are now available for new students pursuing a career in teaching through Sierra Nevada College’s master’s degree in teaching programs, thanks to a grant awarded this week by the Nevada Department of Education’s Teach Nevada Scholarship program. 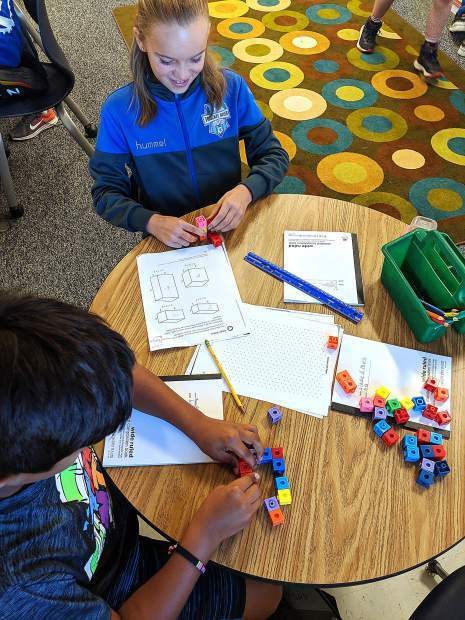 The $360,000 grant to SNC Tahoe is designed to increase the number of students pursuing a career in teaching in Nevada in response to a severe shortage of qualified Pre K-12 teachers in the state. The Sierra Nevada College scholarships will be awarded to new students who enroll in SNC’s combined Alternate Route to Licensure (ARL) – Master’s Degree in Teaching programs for spring or summer 2016 at the College’s Las Vegas, Reno, Incline Village or online campuses. SNC also offers additional scholarships for ARL students, and teacher education students are eligible for several other types of financial aid, including the federal Teacher Loan Forgiveness programs. The Department of Education has projected a gap of 1 million teaching vacancies over the next 10 years nationwide, caused in part by the large numbers of Baby Boomers retiring from the teaching profession. According to the Pew Research Center, approximately 10,000 Baby Boomers turn 65 every day, a trend that will continue through 2030. This trend will put significant additional pressure on the nation’s teaching population. In Nevada, the need for new teachers is pronounced. During the 2014-15 school year, Clark County School District (CCSD) was forced to fill some teaching positions with long-term substitute teachers, who are not licensed to convert to permanent teachers in the district. Even if the district had hired every new graduate from every teacher education program in Nevada this past May, they could not have filled all the 2,600 vacancies for the current 2015-2016 school year. Approved ARL programs are designed to encourage college graduates who did not study education to bring their rich professional and life experience into the classroom as quickly as possible, while gaining rigorous professional development that will lead to professional licensure. Some ARL programs offer only professional licensure, while combined ARL-graduate degree programs such as those offered by Sierra Nevada College offer licensure plus a graduate teaching degree. In the SNC combined program, career changers can be in a full-time, full-salaried teaching position after only one semester of courses plus testing requirements, and complete a master’s degree in teaching in a handful of additional semesters. This article was submitted by SNC Tahoe. For information on Teacher Education programs, contact Katrina Midgley, director of graduate admission and recruiting, at 775-881-7517. Visit sierranevada.edu to learn more.